Wall Street is currently basking in a vigorous “Trump rally,” with the Dow rising more than 1000 points since the election. The rally is driven by analysts who are salivating over the future prospect of sweeping deregulation of many markets. But there is also a chorus of concern from dozens of financial experts, that the global financial markets are “whistling in the graveyard,” acting in a classicly irrational manner. I am reminded of the often cited 19th Century classic, “The Madness of Crowds and Extraordinary Popular Delusions.” Experts cite a host of issues both financial and geopolitical, among them Trump’s intention to exit TPP, NAFTA, and the COP21 Climate Agreement. Combined with rising geopolitical tensions with China, North Korea, and Iran, a perfect storm of global uncertainty and instability is forming. What is “Global Financial Contagion”? An examination of economic history suggests that the effects of financial problems in one country rippling through other countries may have begun in the 18th Century with colonialism, with the mother country’s economy having large direct impacts on the colonies. Today, in Marshall McLuhan’s global village, and with the World Wide Web, a financial hiccup in Asian markets late on our Sunday night, can turn into a major global financial crisis in Europe and North America in less than 24 hours. At the moment, the number of risk factors that contribute to a major financial contagion is at an all-time high. The following article from the Associated Press details some of these global economic issues, but ironically also omits additional other issues contributing to the anxiety in markets. The attached article does place China at the top of its list but fails to mention a number of additional issues contributing to global worries about China. The first is the Chinese leadership itself, led by Xi Jinping. Concerns have increased regarding the overall management of the Chinese economy. These issues include the lack of faith in economic numbers released by China, the poor management of the unrest in the Shanghai financial market, and the $1 Trillion flow of money out of China by wealthy Chinese, which has had a dramatic impact on the Vancouver housing market. Add to this, the neo-Maoist tendencies of the current PRC leadership and its saber-rattling in the South China Sea. There are other disturbing domestic Chinese economic issues, but I will not list them here. The ultimate risk, understood only too well by the Chinese leadership is the risk of social unrest. Harvard professor Niall Ferguson has said that in his view nothing has really changed in 2000 years of Chinese history. The Mandarin class still rule at the expense of the peasants. Glaring out at me, the AP analysis omits any specific mention of military and social unrest. This week it would seem that North Korea and Kim Jong Un have risen to the top of concerns, but not far behind were the satellite photographs of ground-to-air missiles installed by the Chinese on the Spratley Islands in the South China Sea. Syria has been described as an order of magnitude more complex than the crisis in the Balkans in the 1990’s. With the U.S., Russia, Turkey, NATO, and a host of other smaller players, it would take only a small spark, like another pilot burned alive, to ignite the entire region. Finally, we have the lack of confidence in financial institutions generally and the lack of regulation. Despite efforts to restore reasonable regulations like Glass-Steagall, put in place during the Great Depression, nothing has happened to restore confidence in financial institutions in the United States or globally. The problems in the housing markets, particularly the bizarre behavior of the Vancouver housing market are directly a result of the global financial instability and yet the local and regional British Columbia governments have failed to take any action. The LIBOR scandal has shown how vulnerable we all are to ongoing financial mismanagement across the globe, which could contribute to a collapse of the World as we know it. WASHINGTON (AP) — Eight years after the financial crisis, the world is coming to grips with an unpleasant realization: serious weaknesses still plague the global economy, and emergency help may not be on the way. Sinking stock prices, flat inflation, and the bizarre phenomenon of negative interest rates have coupled with a downturn in emerging markets to raise worries that the economy is being stalked by threats that central banks — the saviors during the crisis — may struggle to cope with. Meanwhile, commercial banks are again a source of concern, especially in Europe. Banks were the epicenter of the 2007-9 crisis, which started over excessive loans to homeowners with shaky credit in the United States and then swept the globe into recession. “You have pretty sluggish growth globally. You don’t really have any inflation. And you have a lot of uncertainty,” says David Lebovitz, who advises on market strategies for JP Morgan Funds. Some of the recent tumult may be an overreaction by investors. And the rock-bottom interest rates are partly a result of easy money policies by central banks doing their best to stimulate growth. Unemployment is low in several major economies, 4.9 percent in the United States and 4.5 percent in Germany. The IMF forecasts growth picking up from 3.1 percent last year to 3.4 percent this year. But that’s still far short of the 5.1 percent growth in 2007, before the crisis. The realization is dawning that growth may continue to disappoint, and that recent turmoil may be more than just normal market volatility. In Japan, the yield on 10-year bonds briefly turned negative, meaning bondholders were willing to pay the government for the privilege of being its creditor — for years. In the United States, long-term market rates are sliding again, even though the Federal Reserve has begun pushing them higher. That’s alarming because such low or negative rates are way out the ordinary. For one thing, they suggest investors don’t expect much economic growth. Here are some of the risks that markets have been waking up to. 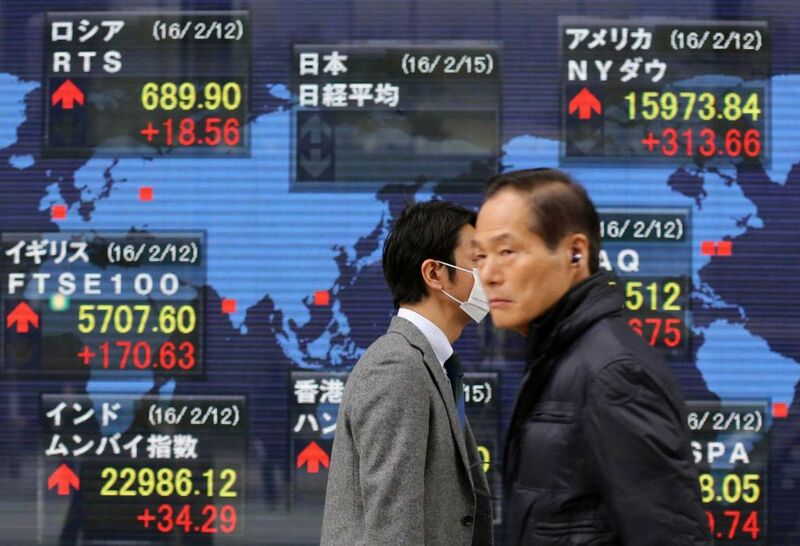 A sharp slowdown in China threatens to remove a pillar of global growth. Slackening demand for raw materials there is hitting producers of oil and metals in other countries. Energy exporter Russia, for instance, slid into recession and its currency has plunged. German automaker Daimler made a record operating profit last year, helped by a 41 percent surged in sales in China for its Mercedes-Benz luxury cars. But its shares fell when it announced a cautious outlook for only a slight profit increase for 2016 and “more moderate” growth in China. CEO Dieter Zetsche cautioned that he saw “more risks than opportunities” amid “restrained” global growth. Money is flowing out of so-called emerging markets like Brazil, Russia, South Africa and Turkey. Investors pulled $735 billion out of such countries in 2015 — the first year of net outflows since 1988, according to the Institute of International Finance. And emerging markets aren’t so emerging any more: they provide 70 percent of expected global growth. Central banks led by the U.S. Fed responded to the global recession by slashing interest rates and printing money. That encouraged investors in search of higher returns to place their money in emerging markets. Now the Fed is trying to push up its interest rates, and those flows have gone into reverse, causing financial markets and currencies in emerging markets to sag. Debt becomes harder to repay. 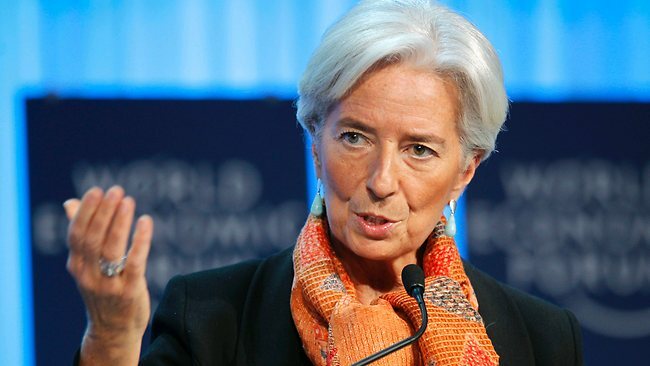 IMF chief Christine Lagarde has warned of “spillback” effects from emerging markets on more advanced economies. Stephen Lewis, chief economist at ADM Investor Services, argues the Fed should simply go ahead with raising rates to a more normal level. “Unless we’re going to paralyze monetary policy in the advanced economies forevermore, it is inevitable that the funds that have gone into emerging markets are going to come back out of them,” he said. The other pillar of the global economy besides China, the U.S., is also now showing signs of weakness. Maybe not a recession, yet. But growth was a weak 0.7 annually during the fourth quarter. Factory output has declined. Though unemployment has dropped, wages have not recovered quickly and companies appear to be unsettled by the global jitters. A rising dollar — a side effect of expected Fed interest rate increases — could hurt exporters. That’s one reason the Fed may in fact hold off raising rates again soon. Banks stocks have been plunging in the U.S. and Europe. In the U.S., low oil prices may mean companies involved in expensive drilling and extraction will be unable to repay loans made to dig wells that are no longer profitable. In Europe, bank shares have been shaken by the bailout of four Italian lenders and fears about 1.2 trillion euros ($1.35 trillion) in bad loans across the 19 country currency union. John Cryan, co-CEO of Deutsche Bank, had to take the unusual step of publicly reassuring that the bank’s finances were “rock-solid” after investors pounded the bank’s stock. The spread of negative interest rates could reduce banks’ profitability, since it squeezes the different between the rates at which banks borrow and at which they lend. Sick banks can choke off credit to companies and dump huge costs on governments, shareholders and creditors. Low rates help people pay mortgages and buy cars. But there’s some concern that they suppress spending by savers, and may steer investment to less productive uses. The typical 10 million-yen ($87,900) in savings held by a household with a member over 65 would have earned $3,500 in 1995, but only returns $175 now, estimates Richard Katz, editor at the Oriental Economist. “We’re retired, so it would be nice to see them go up,” said 75-year-old Lynne Metcalfe, who was having coffee and reading the morning paper with her husband in a Sydney shopping center Tuesday. With interest rates below zero in some cases, it’s much harder for central banks to apply more stimulus if needed. Low rates and stimulus in the form of bond purchases — using some $3.6 trillion in newly printed money in the case of the Fed — have driven up stocks worldwide. Yet inflation has remained quiescent. U.S. consumer prices fell 0.1 percent in December. European inflation is only 0.4 percent annually, despite massive ECB stimulus. So markets may be realizing this is one downturn where the central banks can’t ride to the rescue as before.